A man dreams of fighting off a wild animal and wakes to find himself punching his wife in the arm. Another dreams of jumping over a hazard and wakes tumbling out bed and onto the floor. After throwing a punch out of sleep, a man reluctantly goes to his doctor to get further evaluation. If you or a loved one have ever acted out dreams while remaining asleep, it could be a condition known as REM behavior disorder. What are the symptoms, causes, and treatments of this condition? Learn about how this disorder can be diagnosed and treated to prevent injury. During the night, we naturally progress through sleep stages, including rapid eye movement (REM) sleep. REM is normally characterized by intense brain activity and dreaming – and the inability to use our muscles, with the exception of our eye muscles and diaphragm (which allows us to breathe). REM sleep occurs periodically through the night at about 90-minute intervals, and is concentrated in the last third of the night as the periods become more prolonged before waking. If our other muscles are not properly paralyzed, we may be able to perform complex activities and enact our dreams while we remain asleep. This is called REM behavior disorder. This disorder may lead to accidental injury, including injury of bed partners. These behaviors frequently result in injury to the individual or their bed partner. The injuries may be minor (such as bruises, scratches, or cuts) or severe (such as broken bones or bleeding within the brain). People who are afflicted may complain of disrupted sleep or excessive daytime sleepiness. REM behavior disorder affects about four or five people out of every 1,000. In about 90% of cases, it occurs in men who are in their 50s or 60s. In most cases, a reported history of dream-enactment behaviors with a standard sleep study called a polysomnogram (PSG) will be sufficient to establish a diagnosis. The PSG will often show the abnormal presence of muscle tone (suggesting activity) during REM sleep, allowing the ability to inappropriately act out dreams. It is also important to document an absence of seizure-like electrical activity on the EEG because seizures can sometimes cause abnormal movements during sleep. Imaging studies are typically normal in REM behavior disorder if there is no associated neurodegenerative disorder. However, the condition commonly occurs in the setting of other disorders. REM behavior disorder is frequently associated with other neurologic disorders, and more than 50% of patients will have another disorder like Parkinson’s disease, dementia with Lewy bodies, and multiple system atrophy. Even when there is not an associated neurologic disorder at presentation, 65% of patients with REM behavior disorder will go on to develop Parkinson’s or dementia years or decades later. It has been suggested that REM behavior disorder may be a possible useful indicator for early prevention of these disorders. Not everyone develops these associated conditions. There is a less frequent acute form of REM behavior disorder that may result from structural brain lesions such as a stroke, tumor, or in demyelination as may occur in multiple sclerosis. Another manifestation may also occur as the result of certain medications (including antidepressants and others that affect the brain), drug intoxication, or withdrawal from alcohol or sedative medications. These other causes of dream-enactment behaviors are not associated with the development of the other neurodegenerative disorders described above. Treatment is targeted toward the underlying cause instead. In general, treatment of REM behavior disorder is focused on keeping the affected person and others safe. This involves making the bedroom a safe place by removing nightstands and sharp objects. In some cases, additional padding around the bed may be helpful. Some people need to lock the door or windows to keep themselves from getting into mischief. Once the movements are suppressed effectively with medication, fewer safety precautions may be necessary. The medication clonazepam is a highly effective treatment for most patients. 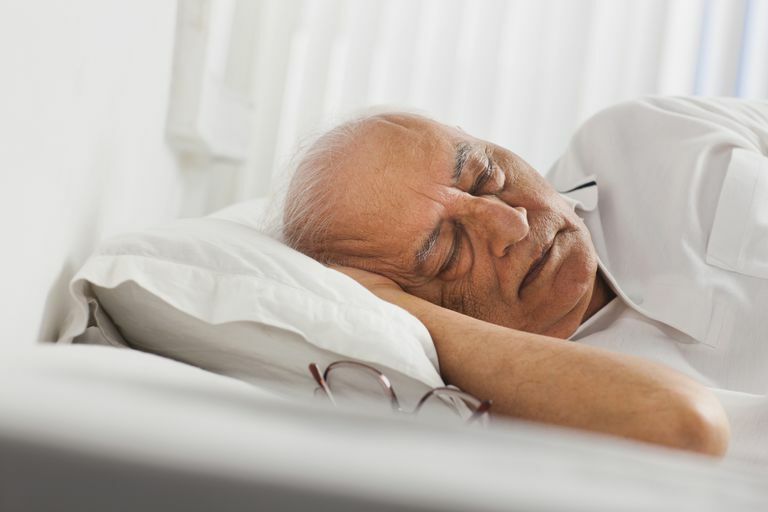 It can cause nighttime confusion in the elderly or daytime sleepiness, however, so this may make it intolerable to some. As an alternative, higher doses of melatonin has been demonstrated to be effective in a few small trials. If you are concerned that you may have symptoms suggestive of REM behavior disorder, start by speaking with your doctor and get the diagnosis and treatment that you need to stay safe during sleep. Mowzoon, N et al. "Neurology of Sleep Disorders." Neurology Board Review: An Illustrated Guide. 2007;738-739. Can Medications, Alcohol, or Drugs Cause Abnormal Sleep Behaviors?